Hello collectors and sellers! COMC is offering a new special that we’re excited to tell you about – we’re calling it The COMC Hot List and we’re hoping it’ll put a little extra excitement into your COMC experience. Starting today, each player, team, or set on the Hot List will qualify for our “Hot List Special” processing. With this service, you will receive One Day processing at the One Week price. That is $0.50 per raw trading card and $0.75 per graded, encased, or jumbo card. The most exciting thing is that this Hot List special is a trial run of an ongoing feature we’d like to offer. Soon, we’ll be posting on Facebook and Twitter and ask you, our followers: who do you think is “Hot”? Based on your input and our team’s research we’ll put together a list of players/teams/sets for future Hot Lists. Together we can heat up the site for everyone! This entry was posted in Hot List, specials. Bookmark the permalink. Bowman Chrome only or Bowman Chrome Draft as well? Hey Joel, Bowman Chrome Draft qualifies, as well. One way to heat up the site for me is with FREE SHIPPING or a reduced whatever that 25 cent “tag on” to the price of a card is. Not much point in having all those cards in stock if we can’t afford to buy them in the quantities we’d like to. The old site will be going away soon…. How about a “Coming Attractions” marquee type link for a group of cards being submitted for processing by sellers. Adding a note to the cards being sent in, such as: ‘Enclosed are 100 Mike Trout’ for Coming Attractions consideration. After checking the submissions COMC can add that information to give a heads up to potential buyers in the Coming Attractions link, with information about the batch COMC deems informative…..of course adding the seller’s ID. Hi, Ken. That’s a neat idea, thanks for the suggestion! I appreciate your interest Jeremy. The thought came to me because I just sent in a group of cards and did not realize the “Hot Lists” was available. In that group is a bunch of Kaepernick cards and was wondering how I could get that information out before the Super Bowl. 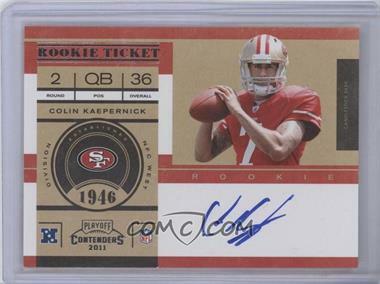 But thankfully, the folks at COMC processing noticed the Kaepernick cards while processing and I now will have them listed prior to the Super Bowl so buyers can take advantage of present BV in case the 49ers win. Great job COMC!! !